The best thing about this time of year, beyond the decorations, yummy food and spending time with loved ones, is it brings out the best in people. Be it buying charity Christmas cards or donating a gift to a worthy cause, it's the perfect time to give something to others who are less fortunate. 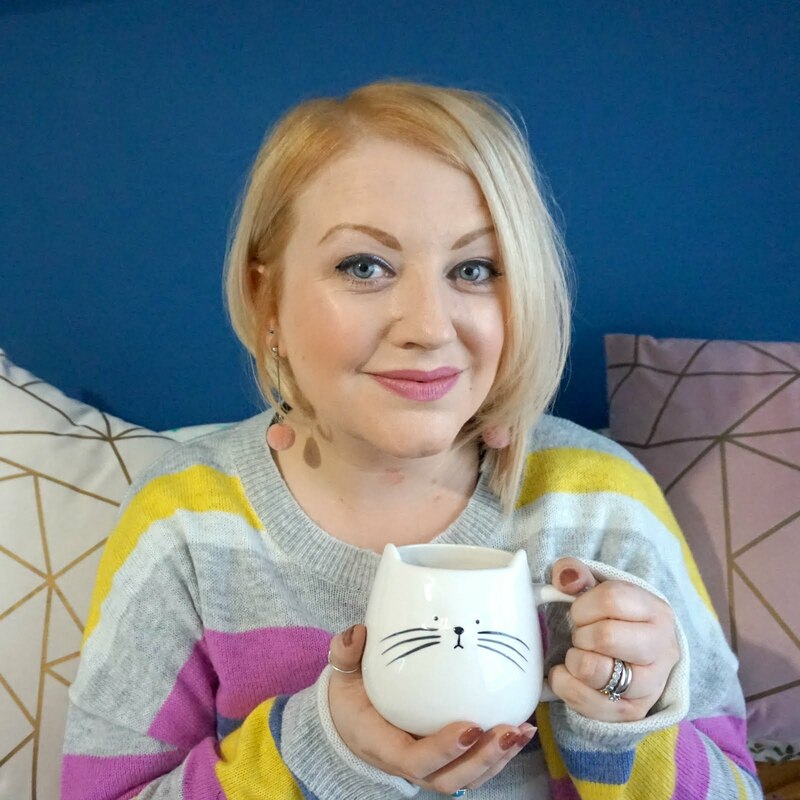 I was having a long overdue clear out of the mess that is my wardrobe and came to fill two bin bags full of rubbish and unwanted items, mostly unused or part used beauty products. As you know, I classify myself as a beauty addict and can't resist a new product or a 3for2 offer - when it comes to moisturisers I'm not sure I've ever bought the same one twice. Add to this Christmas gift sets that never seem to get used up and your left with drawers, cupboards and bathroom shelves full of bottles and tubs of things you just never get around to using. This is what was left after my clearout! 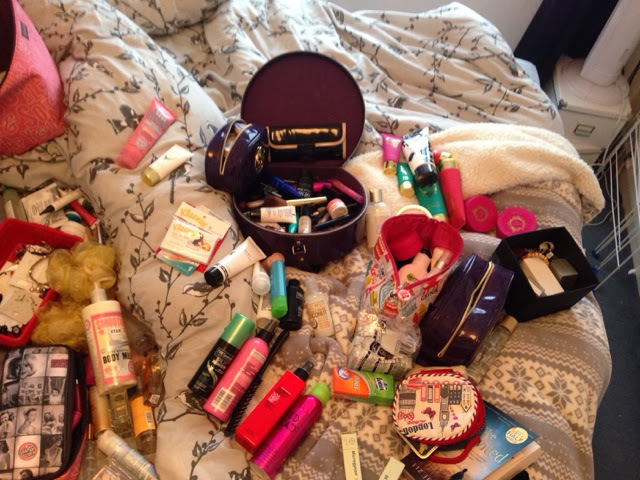 I felt so guilty when I bundled all of my unwanted products up and made a vow to change by beauty hoarding ways. Later that day and purely by chance, I was looking at Facebook just as Beauty Queen UK posted a link to a blog about Project Shoebox. I only had a few minutes until my husband was coming off his train but those couple of minutes were put to good use. 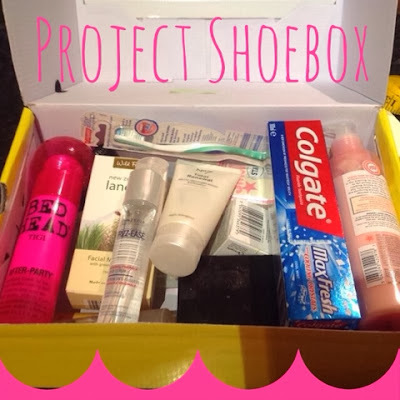 Project Shoebox, I learned, was a special initiative set up by Katie to help women who have had to leave there homes due to domestic violence, often with no time to pack anything to take with them to the refuge. What Katie does is collect toiletries and other bits and pieces that women need to look and feel better, puts them into shoeboxes and gives these to brave women who are trying to escape a desperate situation and need the essentials we all take for granted. In Katie's words, "Project Shoebox is an attempt to help the women who arrive at Bromley Women's Refuge this Christmas. Many will arrive bruised, battered and with nothing more than the clothes they stand in. "We collect together unwanted shampoo, body lotion, toothpaste and brushed into shoeboxes and make then into a gift to help these women get started and remind them that someone cares." Truly heartbreaking stuff. So much so, as soon as I got home, I fished out the items I'd thrown away earlier in the day, ashamed, and boxed these up. Project Shoebox uses the Hermes delivery service with drop off locations all over the country - there's five within a five minute radius of where I live alone. All you need to do is message Katie via the Project Shoebox Facebook page and she'll send you all you need to know. It takes next to no time to get involved but will make a big difference to someone who needs it. So please, dig out those dusty unused gift sets or even better, add a couple of extra items to your basket next time you're shopping, and make another woman, just like you, smile. For the latest on the 2014 campaign, see the dedicated Facebook page.